. . .Oh, well!" said Mr. Aylmore. "I don't mind. The fact is, I knew next to nothing. Marbury was a man with whom I had some—well, business relations, of a sort, a great many years ago. It must be twenty years—perhaps more—since I lost sight of him. When he came up to me in the lobby the other night, I had to make an effort of memory to recall him. He wished me, having once met me, to give him some advice, and as there was little doing in the House that night, and as he had once been—almost a friend—I walked to his hotel with him, chatting. He told me that he had only landed from Australia that morning, and what he wanted my advice about, principally, was—diamonds. Australian diamonds." Mr. Aylmore smiled—a little cynically. 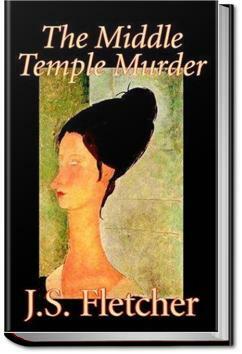 Another intriguing murder mystery by J. S. Fletcher. Nice variety of characters, none of whom was overtly portrayed as a bad guy until late in the story. This time the police department worked hand in hand with a bright young journalist who was investigating the mystery for his newspaper.